Outer space is still largely unexplored by human beings, so there are endless possibilities waiting to be found out. Every year, various kinds of information regarding space make us wonder how trivial our life is in this huge universe. The discovery of water on Mars and the moon has sparked discussions about whether it is possible for human beings to consider either of those to places as their second homes. 2018 was full of important as well as intriguing discoveries regarding space exploration. Here are some of the most interesting stories from space that made 2018 special. Though several new missions were launched by NASA in 2018, one that needs special mention is the Parker Solar Probe. 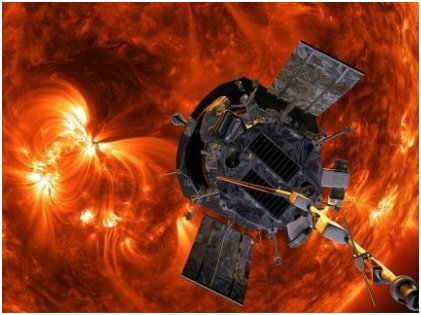 Launched in August 2018, this is the first time a spacecraft will go very close to the sun and send back all information it can gather to earth for further research. The mission has been long pending. All these years the only reason it was stalled was that scientists couldn’t find a material that can survive the tremendous heat of the sun. The spacecraft will stay there for seven years and then self-destruct. The Curiosity rover in Mars discovered organic matter in the red planet in June! Samples were taken from a three-billion-year-old mudstone. 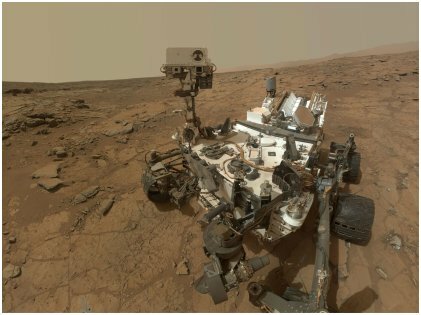 For Curiosity rover, it was clearly a great year. Thomas Zurbuchen of NASA said, “With these new findings, Mars is telling us to stay the course and keep searching for evidence of life.” In May, there was a huge dust storm in Mars, which is very common there. Thankfully, the Curiosity rover remained safe. Unfortunately, another rover called Opportunity has gone mute ever since that storm. 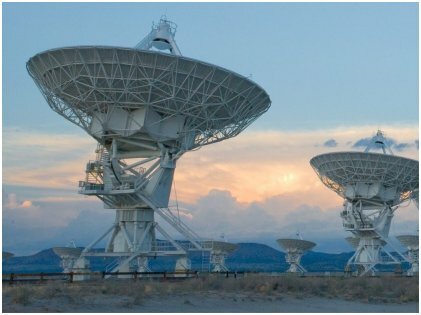 Radio bursts from outer space are not uncommon. They keep the hope up that there might be some other intelligent being in the universe trying to reach us. Recently, it was found that these radio bursts were coming from a place that had a very strong magnetic field. Also, the radio bursts are polarized. It was also found that each burst releases a tremendous amount of energy every millisecond which is comparable to that of what sun releases in a single day! Since the hypothesis of extra-terrestrial life cannot be completely ruled out, this news certainly makes it to our list. 2017 saw the flight of an interstellar object that was nicknamed Oumuamua which means “a messenger from distant past” in Hawaii. Aptly named, this flyby has kept scientists on their toes even in 2018. A Harvard research paper even came up with the theory that it was a messenger sent from an ancient civilization. 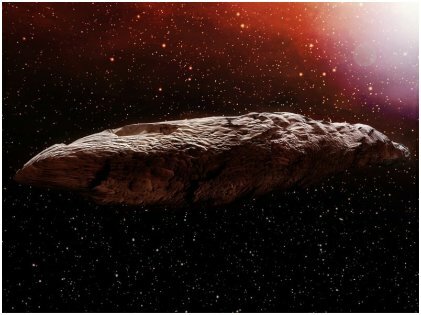 A similar interstellar object was found in Jupiter’s giant orbit. Scientists believe that star got caught in the gas orbit billions of years ago and moves around Jupiter warning other similar heavenly bodies. Researchers are not sure exactly where it came from and several hypotheses (and even conspiracy theories) are available now. 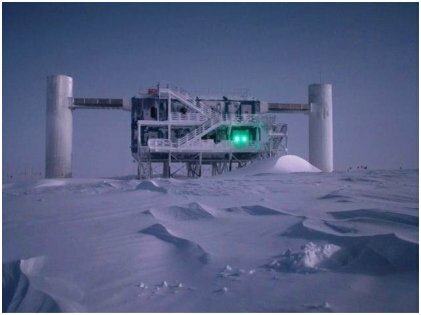 In the deep dark oceans of the Antarctic, the ice-detector found a neutrino — a high energy cosmic particle — that had traveled billions of years to get to the surface of the earth. This is the first time a neutrino has been detected. It has been found by scientists from across the globe that this neutrino is from a galaxy that has a massive black hole at its center. Gary Hill from the University of Adelaide says, “What we’ve found is not only the first evidence of a neutrino source but also evidence that this galaxy is a cosmic ray accelerator.” With this discovery, scientists will be able to learn more about cosmic rays. Space never disappoints us in terms of exciting news. There is always some strange phenomenon going on out there. Most people get excited about the prospects of other living beings in our solar system or even out of it. Last year, it was also revealed that Jupiter’s moon, Europa, and Saturn’s Enceladus both have an icy subsurface ocean which proves the existence of water. Clearly, human beings have miles to go to unfurl the mystery behind our universe and also find out about the existence of E.T.. But with each passing year, more and more discoveries of even stranger things are revealed, and the possibility of finding explanations to age-old questions about the universe are answered.